The all-new 2018 Nissan Armada at Nissan South offers Best-in-Class Standard Maximum Horsepower thanks to a thrilling 5.6-liter Direct Injection Gasoline V8 engine. This incredibly powerful engine guarantees that you will stay ahead of the pack on the streets of Morrow, Georgia. With the Armada, impressive towing isn’t an option, it comes standard. The new Armada is simply stronger then the competition, which is why the standard maximum towing capability is a staggering 8,500 lbs! The Nissan Armada delivers a bold message every time it hits the roads of Morrow, Georgia. From its confident, luxurious stance to the specially designed wheels, this SUV simply cannot be ignored. The Armada’s beautifully crafted, available 20-inch wheels with a unique finish adds to the vehicle’s already extraordinary appearance at Nissan South. Nissan Intelligent Mobility featured in the 2018 Armada gives Morrow, Georgia drivers tomorrow’s technology so they can take on the day. Every move made is done with greater awareness and drivers can get a little help when it is needed most. All of this gives our customers at Nissan South more confidence and, ultimately, the freedom to embrace the joy of being behind the wheel – the way driving was always meant to be. In the Armada, there’s a stunning combination of room to stretch out and exquisite attention to detail that makes you feel like a VIP every time you get in. It offers seating for up to eight with the second-row bench, or add available captain’s chairs to provide even more personal comfort. This beautifully crafted interior will make you and your crew never want to leave. The 2018 Armada has available premium leather-appointed seats that feature beautifully crafted stitching and piping that adds a unmistakeable luxurious feel to the interior of the vehicle. They are accompanied by a double-stitched leather-appointed door panel and leather-appointed center console. 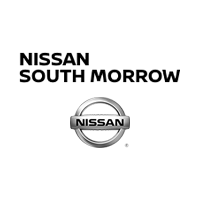 Nissan South in Morrow assists customers from Atlanta, Morrow, Riverdale, Jonesboro, Lake City, Forest Park, and all of the surrounding communities, helping them find the new 2018 Armada that suits them perfectly. We take pride in the professional level of customer service that our dealership known for, and we do our best to make sure that each person that walks through our doors leaves satisfied. When you’re ready to purchase your new 2018 Nissan Armada, come by 6889 Jonesboro Rd. in Morrow, Georgia and let one of our friendly salespeople go over all of the purchasing options currently available to you.